EMU Australia boots are very popular among fashionistas and celebrities. Featuring 100% sheepskin lining, these boots offer optimal comfort and insulation, making them the choice footwear during cold seasons. Just be careful when you want to clean them! These trendy and super comfy kickers have long been a target of illegal manufacturers, and it can be pretty challenging to find a genuine pair if you don’t know what to look for. There are a couple of things to check before splurging on a pair of EMUs. Read below to find out. EMU boots come in a classy box (usually black) that has a slightly glossy finish and displays the familiar brand logo on the front and sides. 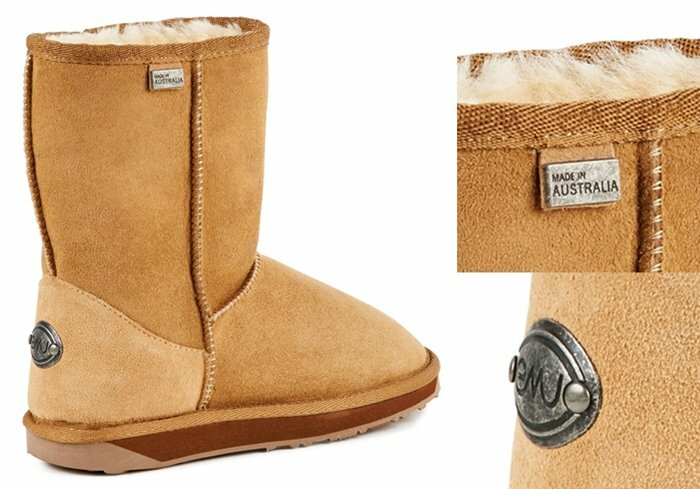 The original-styled boots have a pull tag on the top of the boots near the opening, which has a Made in Australia or Waterproof stamp. There’s also a round-shaped silver EMU logo placed at the back ankle. The logo’s look or color can vary depending on the collection, but it stays in the same place. 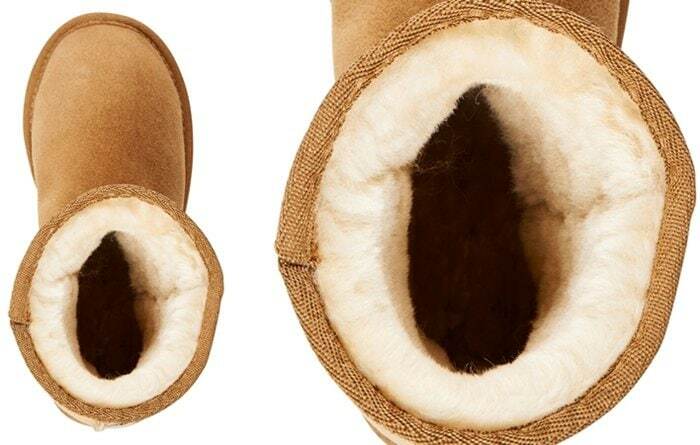 EMU boots are known for their high-quality sheepskin lining. Genuine EMU boots feature super soft 100% Australian sheepskin lining that’s thick, lush, and water resistant. This is evident when you look inside the boots and when you touch them. Imitations have synthetic (or foam) linings and feel a little prickly to the touch. Additionally, the inside linings of fake boots are not as thick and lush as those of the originals. 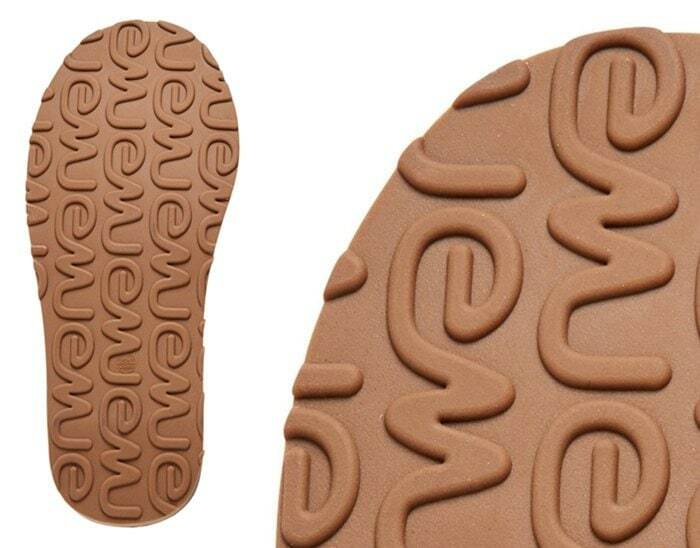 The outsoles of original units have the EMU brand embossed all throughout, with no breaks in them. These are made of naturally durable rubber for extra traction and ground insulation. Fake boots are made of low-grade rubber, and the embossed EMU brand can look uneven and cheap. Other may not have any brand stamps on the outsoles at all. Additionally, fakes usually have soles that are inflexible. Real high-grade rubber soles are noticeably thick but still pliable. The stitching should be even all throughout, with threads that are of the same color as the boots. All genuine EMU boots have superior double-stitched seams for added strength. Fake ones have uneven stitches with badly colored threads. There are countless online stores that sell sheepskin boots, but not all of them offer genuine EMU boots. Some are steals (or look-a-likes), and some are knockoffs. If you want to make sure you’re getting genuine EMU boots, purchase from trusted retailers like Amazon and Zappos. Also, be mindful of the styles and new collections released. Illegal sellers and manufacturers often create styles that are completely different from the ones displayed on the website. Original EMU boots are priced at around $150–$180. Those that are being sold at an extremely low price are most likely fakes. EMU Australia is based in South Geelong, Victoria, Australia, and manufactures their Platinum Sheepskin products in a local factory. Other boots and shoes for kids are made in China. If you want EMU boots that are manufactured in Australia, look for the word Platinum.